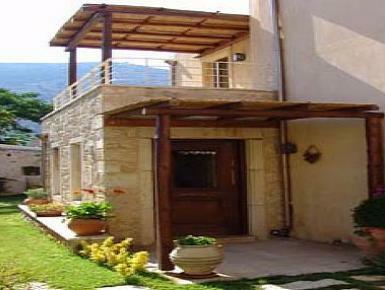 The property is located in the centre of a picturesque village called Archanes , approximately 15km away from Heraklion. Its quiet and warm atmosphere addresses to visitors who are willing to combine comfort , quality , as well as privacy during their vacation. The property consists of 3 independent buildings which were recently restored so that they match with the region's architectural style. The traditional element in decoration and furnishing meets the functionalism and luxury of a modern resort, allowing visitors to enjoy unique moments of relaxation. The area offers great variety or activities (archaeological sites, Byzantine temples, natural environment etc) , which bring to notice this property as one of the most attractive destinations.